How did it happen that land owners’ property exceeded all permissible limits? The Chief Official Ethics Commission announced it would begin an investigation regarding Ramūnas Karbauskis' likely undeclared 3 million euro gift to his two sons. The politician also should have declared, but failed to that his two sons, daughter in law, brother, sister and father own agricultural companies, LRT.lt writes. A day before this, the Prosecutor General's Office, while not mentioning R. Karbauskis' name or the Agrokoncernas, announced that "in regard to information released on the news media on cases when several legal entities are potentially jointly controlling larger than legislatively permitted 500 hectare plots of agricultural land, the office has decided to initiate an investigation in defence of the public interest." Monika Garbačiauskaitė-Budrienė. Karbauskis and Brazauskas – what do they have in common? And well, in the Seimas, the Homeland Union group prefect Gabrielius Landsbergis proposes to form an ad hoc commission over the situation in agriculture. R. Karbauskis stated he cannot agree to such a commission, furthermore the proposal reminds him of "1941 when there were exiles from Lithuania, lists were made." Meanwhile the prime minister would support such a parliamentary investigation and it should envelop decisions retroactively. Indeed if for 27 years no-one needed oversight of how land is obtained, it is difficult to think otherwise than that such was the intent or rather that neither the left, nor right had the political will to ensure adherence to the law. More than a quarter of a century ago, just when land reform began, restrictions on purchases were also made. The first limit was 150 hectares. From 2003 to 2006 physical individuals were then allowed to obtain 300 hectares, legal entities – a whole 2 thousand hectares. It is believed that land purchases were the most extensive during this time. The law was amended in 2006, a clause appears in it that the agricultural land obtained by bother legal and physical entities cannot be larger than 500 hectares. Near a decade later the law receives a further safeguard that not only an individual, but also related individuals cannot obtain more than 500 hectares. In other terms, it was prohibited to increase one's land through spouses, parents, underage children. And while various safeguards were inserted into the law, however a mechanism which would activate them was not implemented. Through the entire period of independence no-one investigated or checked whether land purchases were made in accordance to the limitations. Furthermore even doing it was not possible. "The Centre of Registers does not provide such information according to specific subjects, but in this respect if there was political will, all structures would activate and it would be possible to figure it all out," Minister of Agriculture Bronius Markauskas says. Up to January this year, the minister notes, the only mechanism of control was the honesty of the buyer. He would have to fill a declaration and outline in it, how much land they own. Notaries approving the deal did not have the obligation to review whether this information is correct and the National Land Service only checked its registers whether the physical individual performed agricultural activities in the past three years and whether 50% of a legal entities' income was from agriculture. The Chamber of Agriculture of the Republic of Lithuania says that the current situation where tens of thousands of hectares are in the hands of a single individual are a consequence of what proceeded in Lithuania throughout 27 years of independence. "If you look at history, up to 2003 it was possible to obtain as much land as you could afford. Another major problem was when land transfers were made possible, these are the two main issues. The uproar now appears to be more of a political play," Chamber of Agriculture interim director Sigitas Dimaitis says. "I believe that when laws with various safeguards were being passed, some safeguards were set very clear mechanisms of who oversees, what sanctions are applies and how procedures are upheld. In other cases there was nothing assigned to implement the safeguards or it was minimal," Prime Minister Saulius Skvernelis says. Through this time, single individuals accumulated tens of thousands of hectares of land. Estonia, Latvia and Lithuania are countries where concerned gazes have been observing the rapid accumulation of land in single hands. According to experts major farms reduce smaller farms' ability to compete, dictate their conditions to the smaller ones. "This was negligence on part of the executive government and in this case the Ministry of Agriculture should think how to outline a legislative oversight mechanism, rather than just legislative amendments," President Dalia Grybauskaitė says. "Can the minister be to blame for this? I have been minister for a year, I would be surprised if there was an accusation that I am responsible for what happened over 27 years. I believe that it is specifically this year throughout which we have made significant steps to establish oversight. Last year, last summer two laws were passed on new registries, on cooperatives and agricultural companies, when from this years, of course not retroactively, but for the future we will be able to ensure connections," Minister of Agriculture B. Markauskas pleaded his case. However there is still no control mechanism for limited liability and joint-stock companies, the minister says. Though solutions are being looked into, it is unclear when they will be found. Another issue is financing. The National Land Service must review a mass of documents in order to identify whether a physical individual or related person is not exceeding the legally established limits and any request from data from the Centre of Registers costs. As such, the Ministry of Agriculture points out, this is another area where solutions are needed so that government companies would share information, rather than trade it. The prosecutors have also taken to defending the public interest. The investigation was initiated after a 15min.lt investigation which found that Farmer and Greens leader R. Karbauskis' Agrokoncernas is making use of land owned by Karbauskis sons, sister, brother and father. Whether matters will be taken to court will be revealed after further data gathering. "If someone did not oversee, observe something, then likely these are not problems of the buyer or seller, but those who did nothing. 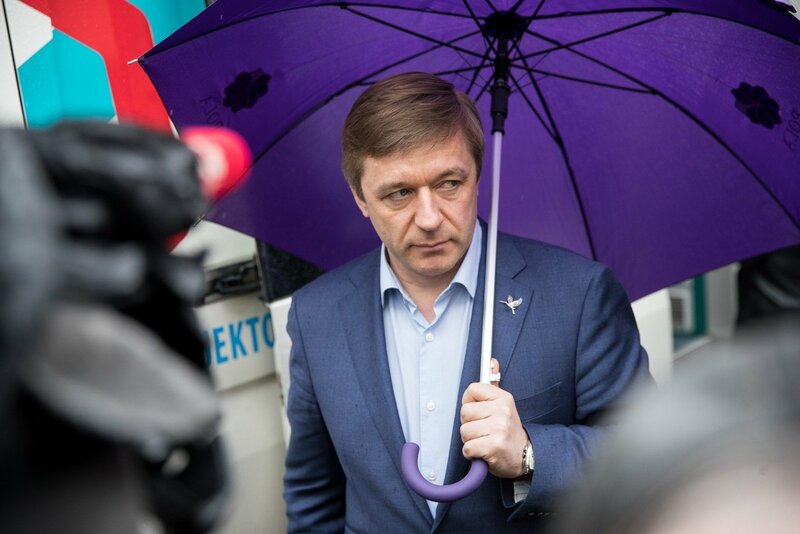 So now it is an odd view where farmers are accused, I am accused of something I could not have been guilty of," Seimas Farmer and Greens Union group prefect R. Karbauskis says. Analysts say that the prosecutors' investigation and perhaps the appearance of the Seimas ad hoc commission will finally answer questions about his business that R. Karbauskis has been evading. "If the Farmer and Greens truly want transparency, want to increase trust in the Seimas, they should support the establishment of such a commission. 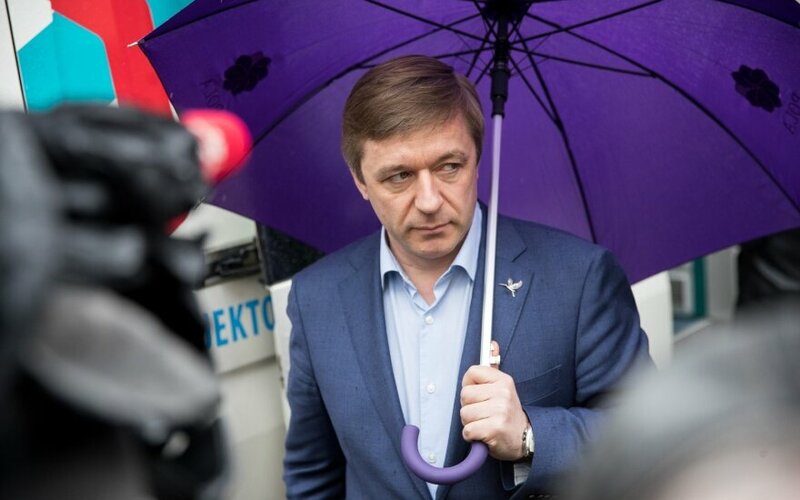 However no doubt everyone understands that it isn't a very pleasant matter and certain instincts may surface that you must avoid this, defend the party leader," VU TSPMI professor dr. Tomas Janeliūnas states. Why did the legislation not contain any control mechanism? Perhaps someone benefitted that there would be several decades of non-oversight for this market? "It is no secret to anyone – this corrupt practice is certainly not an exception in state institutions, thus law enforcement institutions could investigate such a question, whether there was no abuse of authority or corruption in avoiding tangible control of the sector," dr. T. Janeliūnas says.